I'm afraid the product itself contributes at best 50% to the overall success of a product. Distribution is a huge factor and Diamond is less than stellar when it comes to the distribution value chain. Product management, product marketing, customer communication, sales training, sales support and after sales customer support are all very weak at Diamond. 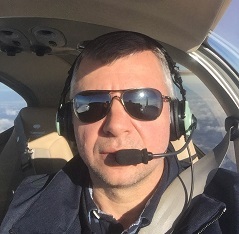 Meanwhile Cirrus is a marketing machine which creates a virtuous circle/cycle of happy customers who hire Cirrus certified CFIs, take their planes to the Cirrus service network, fly them to a COPA fly-in to tell each other about their great planes and attract more products, professionals and vendors to the Cirrus eco-system. Success leads to success. This is not something that just happens by itself. It takes a long term investment by shareholders and a focus by senior management. Cirrus also has a financial advantage because they sell direct, keeping probably half of the margin that currently goes to Diamond distributors (think Apple Store or Tesla). Then they use that savings to invest in better marketing and support. I do believe the Cirrus piston product line is essentially stale and yet another Perspective (+) feature isn't going to change that. 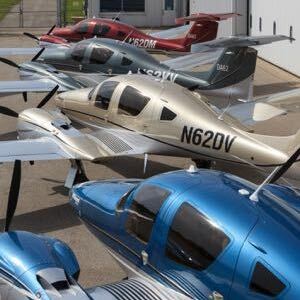 But I also would not assume that Cirrus is not doing anything to evolve the SR22 product line. Cirrus could leap frog the diesel engine benefits with an entry level turbo-prop and change the game entirely the same way the Vision Jet brought down the jet entry point. I wish Diamond every success, but they need to make a huge and sustained investment in marketing, distribution and customer support if they want to be a major player outside the training market. Customer support is the 800 lbs. gorilla in the room. Diamond shows nothing that I would consider substantial definitive progress in that direction. When you have customer support everything else will follow. Until that’s there, forget it. Nothing else will help. As expected, the Dries-era announcements turned out to be market survey balloons. This market is so small there is no way to market more than one fundamental design and make money. An airframe parachute is an indispensable checkbox item nowadays. 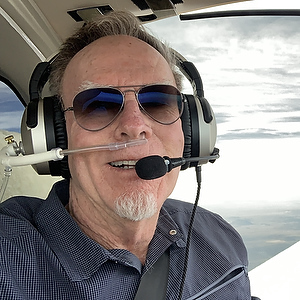 I have become friendly with a couple of Cirrus owners -one thing is certain: they bought the parachute with a plane attached to it, and most of them did it because of their better half's safety feelings. Hopefully, Diamond will not make the mistake of skipping that. - the large pool of DA40 pilots waiting for a single engine upgrade. As Tommy pointed out, it is really too bad that Diamond pissed off so many loyal followers in various ways. It's not soooo ugly in live but as you said it's matter of personal taste. What bothers more is insisting on (really ugly) center stick for DA62 and DA50. Although I learned to fly with center stick and I kind of like it for flying my DA42, I find it very annoying for non-pilot passenger in the front seat, especially female wearing a skirt. Yoke or side stick leave much more space in cockpit especially when you think about this aircrafts as tourers flown on autopilot most of the time. If Diamond would ever paint the DA50 in something like DA62 colors (instead of the awful almost puke-green gold with pink stripes of the prototype! Ughhh.......) I think it would look very nice -- especially in flight with gear retracted. As for the center stick, as a pilot I greatly prefer it for the feel and better mechanical leverage it gives compared to a side stick (especially when compared to Cirrus' half-yoke, half-stick sidestick). Years ago I participated in formation flying lessons where we flew multiple DA40s in close formation, including formation takeoffs and landings. A center stick is perfect for all the constant small adjustments needed when flying as a wingman. I don't tend to carry women in skirts in the front seats (my pilot wife never wears a skirt when flying), but for those pilots that do, it's now possible to order new Diamonds with an optional removable stick on the co-pilot's side. Problem solved. I think it would look very nice -- especially in flight with gear retracted. I agree - personally I don't see anything ugly in its shape. Again, I agree - center stick is a pilot tool. Yoke can be of similar precision but Cirrus-type sidestick is not the best choice for hand-flying. Eh... it's a sight that makes long flights less boring. 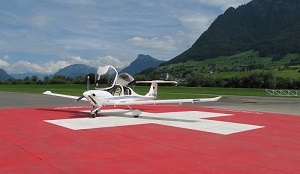 Especially in Europe is the AVGAS availability definitive an issue. In Italy it is already a real problem flying in the south of the country. But of course, the USA is THE market. Given the fact that this is originally a European forum, I suppose it is ok to linger a bit on this hilarious exchange without risking the loss of a $hirt and some non FAA-certified body parts to the hand of some (legitimately) infuriated female lawyer-pilot or 88 mm AA artillery specialist. Wooot??? no skirts??? What a sad waste of precious aviation time? I admit I was fortunate enough to witness several combinations of skirt and heel sizes. I know - it is called "experimental" and it's verrrrry dangerous. The nicest results were obtained at the very edge of the CG envelope. But really you should try some gentleman's aerobatics with a skirty creature snugly fastened to the copilot seat - and PIREP back! Not convinced? Okokok - let me propose this new FAA*-approved placard. This will make sure the ladies understand that THIS is serious boys business and they better behave!